Every time the New Year comes around, we get excited about new opportunities, resolutions, and aspirations. However, for some, it may be fear of what's in store for them with uncertainty due to what has happened so far in their lives the present year or years past. We certainly go through different seasons in our lives that either makes us anticipate or dread the future. 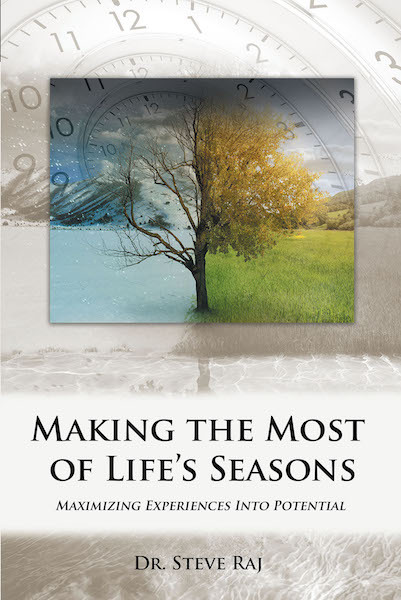 In this book, we will take a look at the different seasons of life and how to maximize each season by taking a look at the nature of the seasons on how it applies to our lives, as well as the preparation it takes to navigate through it effectively. Understanding the seasons are the key to maximizing it to live a fulfilled life. Your vision and potential in life is determined by how you handle your seasons, therefore it is essential that you are prepared for it. Life's seasons may differ, but when you have an understanding of the way they operate, you can learn how to maximize your experiences, both good and bad, into full potential. Make the most of your seasons, and maximize them into your full potentials.